Robyn Osborne is a children’s author and early childhood teacher from sunny Brisbane. She also happens to be a huge animal fanatic, with a particular love towards the canine variety. That’s why you’ll find dogs featuring in almost all of her books, including Dog Logic, award-winning My Dog Socks, and her latest bouncy tale, Bruno, the Boisterous Blue Dog from the Bush. Today Robyn is here to discuss her writing adventures and to celebrate the release of Bruno; a book of busy alliteration and beaut Aussie slang, all bundled in a bold and bubbly tale of mateship and appreciating the simple life. Find Dimity’s bonzer review here. Thanks for joining us, Robyn! 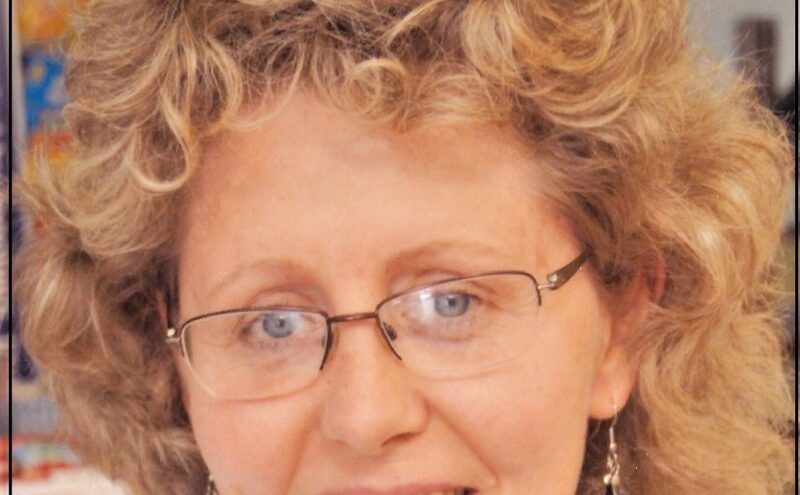 Robyn, have you always been passionate about writing? How did your career path lead to becoming an author? 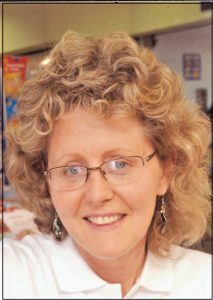 Like many authors, I was a keen reader from an early age and I was always going to become a writer when I grew up. My first publishing success came in my final year at high school when my angst ridden poem (I was a teenager) appeared in the yearbook. While university beckoned, I opted for a job in the public service, still dreaming of being a writer one day. Unfortunately, life got in the way, and it wasn’t until I became a teacher that I reignited my love of words and started to write in earnest. The release of my junior novel D.O.G. in 2005 was a huge confidence boost and I have gone on to have seven books published since then. At the beginning of 2018 I took a leap of faith and resigned from teaching to devote my time to writing, so after many, many years, my childhood dream has come true. You’ve written a mix of short stories, picture books, junior fiction and young adult titles, many that have been influenced by your love of dogs. Do you have a genre you feel most comfortable with? Why are dog-themed stories such a strong influence in your writing? There is no particular genre I prefer to focus on, but certainly my four legged furry friends are a common theme throughout most of my writing. As a self-confessed dogaphile, it seemed natural for me to incorporate them into my writing. I often wondered what went on in the heads of my two rescue dogs, Socks and Snowy. This pondering eventually led me to a couple of co-pawthored books. 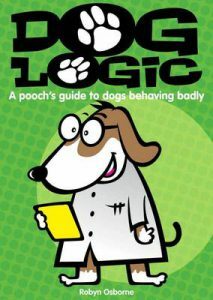 First up was the canine created and related Dog Logic: a pooch’s guide to dogs behaving badly (Big Sky Publishing, 2011). 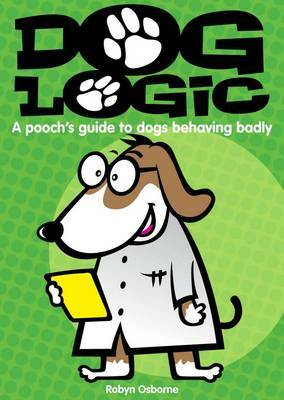 Dog Logic is a training book written from a dog’s perspective. I enjoyed the process of channelling my inner dog immensely, and in 2014 Snowy’s memoirs (Midget Bones’ Diary) were released. 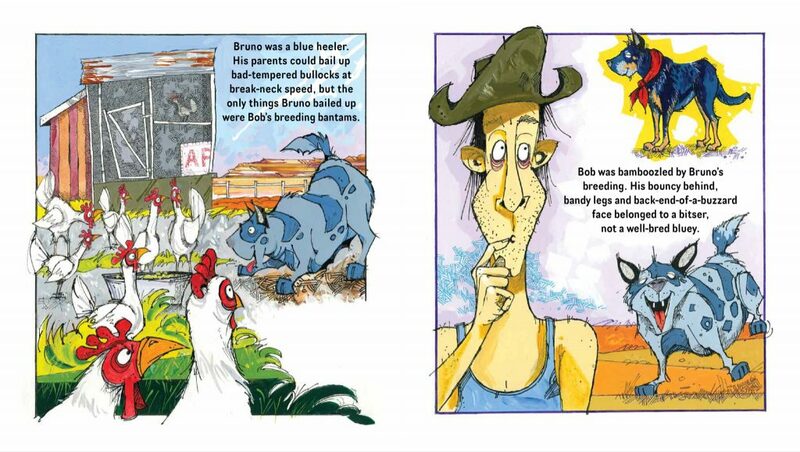 My latest two picture books (My Dog Socks & Bruno, the Boisterous Blue Dog from the Bush) were inspired by dogs I have known. The experts do say to write what you know, so I’m sure there are a few more dog stories to come. 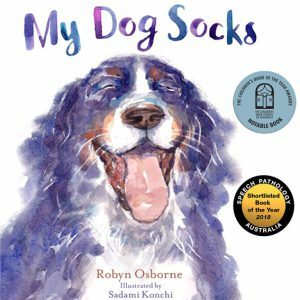 You have won many accolades for your writing and books, including outstanding awards for My Dog Socks with the prestigious CBCA Notable Book 2018 and Speech Pathology Australia Book of the Year Shortlist Book 2018! Congratulations! How did you come to learn of these nominations? How did you feel, and how have these awards boosted your authorship status? Thanks very much for your kind words. I have been thrilled with the continuing success of My Dog Socks. The CBCA Notable Book award came through via my publisher, Ford Street, as did the Speech Pathology Shortlist. It is hard to gauge what impact these awards have had on sales of the book, but I do love to see the stickers adorning the cover. Your latest release, Bruno, the Boisterous Blue Dog from the Bush (Big Sky Publishing), challenges the tongue with its bouncy alliteration and embraces our national culture with its Aussie colloquialism. What teaching and learning experiences can you suggest for parents and educators of young readers? What is the most significant point you’d like children to understand from reading Bruno? First and foremost, I want the book to be enjoyed. Teaching and learning experiences should flow on from what the children are interested in. If it is alliteration, have fun making up nonsense sentences using the letters from their names. Discussing the meaning of the slang terms could lead to exploring more of our wonderful Australian colloquialisms. 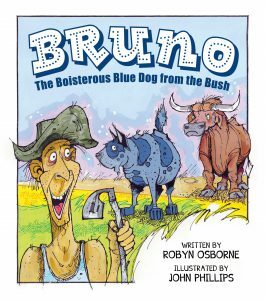 There are free downloadable teaching notes for Bruno the Boisterous Blue Dog from the Bush available on the publisher’s website. I can vouch for their quality, as I wrote them! Did Bruno go through many re-writes or did you have it nailed pretty quickly? How easy or challenging was it to include a book full of alliterated ‘b’ words? Are you a natural at the Aussie slang or was a dictionary on hand? Combining my love of alliteration with a main character called Bruno Bright meant the rough draft went down quickly. Once I had this basic story, I tinkered with it over a number of years. My thesaurus and dictionary became invaluable for helping me find additional ‘b’ words and appropriate slang. The story was quite long, and when Big Sky Publishing said they were interested in the manuscript, I had the difficult job of cutting it down in size. Indeed, there were bountiful ‘b’ words that were banished from the book! Fun Question: If you could describe yourself in only words beginning with ‘b’, what would that be? ‘Bright’ – it is my maiden name and my teacher’s enjoyed saying ‘Bright by name, bright by nature’. My husband suggested ‘boring’, as I do spend considerable time at the computer ignoring both my pets, i.e. him and the dog. Anything else of excitement you’d like to add? News? Upcoming projects? TBR pile? No book news, but I am very excited to be heading off to Tasmania very soon for three months. Jack the dog and writer’s muse extraordinaire will be accompanying me, along with my trusty laptop, so I am hoping to get some creative inspiration while taking in the delights of the Apple Isle. You can visit Robyn Osborne at her website here, and on blog tour here.